Man City welcome Everton to the Etihad Stadium on Saturday, looking to bounce back from their first Premier League defeat this season. Will the Citizens extend their 100% winning record at Etihad? This post contains our Manchester City vs Everton betting preview with betting tips, predictions, probable line-ups, team news, best odds, bookie offers and no deposit free bets! Chelsea last weekend. They now trail league leaders Liverpool by a single point. The Citizens have won all eight of their league home matches so far and have scored 30 goals and conceded just five in that time. They returned to winning ways on Wednesday by overcoming Hoffenheim 2-1 in the Champions League. Defense remain a little concern as Pep Guardiola's men has now conceded at least once in each of their last five matches. The home side will hope to have Sergio Aguero available but the Argentine is likely to miss out, leaving Raheem Sterling, Leroy Sanè and Riyad Mahrez leading the line. John Stones was forced off with a knee injury in midweek and will be replaced by Vincent Kompany or Nicholas Otamendi. The England international joins David Silva, Benjamin Mendy, Kevin De Bruyne, Eliaquim Mangala and Claudio Bravo. In midfield, Fernandinho will be the pivot, flanked by Ilkay Gundogan and Bernardo Silva. Morgan Schneiderlin is Everton's only injury concern ahead of this clash. Manager Marco Silva is expected to play with a three man defense formed by Kurt Zouma, Yerry Mina and Michael Keane. The likes of Lucas Digne and Seamus Coleman will start as wing backs with Andre Gomes and Idrissa Gueye anchoring the midfield. Up front, The Walcott should be initially benched, meaning that Gilfy Sigurdsson and Bernard will support the lone striker Richarlison. The likes of Ademola Lookman, Dominic Calvert-Lewin and Cenk Tosun are the other offensive options. Looking for the highest odds on Manchester City vs Everton? Here at BetAndSkill.com you'll always find the best prices on all the Premier League fixtures we preview. The following are the best odds on the Manchester City v Everton match winner market. Wanna get special prices on all this week's fixtures and boost your profits? Visit our today's enhanced odds page right now! Get 25/1 Man City to beat Everton with Betfair! New Customers can get Man City at an enhanced 25/1 to beat Everton. Max Stake £1. Winnings paid in free bets, valid for 7 days, only deposits with cards/Paypal count. Exchange and multiple bets excluded. T&C’s Apply. 18+|Gamble Aware. Our expertpunters have carefully analysed all the factors influencing the outcome on this London Derby. Read below our four recommended bets on Manchester City vs Everton. Back our bets as singles or combine them in a unique bet (eg. with BetVictor PriceItUp Builder). If you’re new to betting, a good place to start is our Betting Guide hub, a collection of the best tutorials and betting strategies that will help you improve your skills. Whether you be looking to bet on the Premier League, the Serie A or La Liga, there are plenty of games to build an acca and you can find here the best accumulator tips for the weekend. Follow us on Twitter to have a priority lane for the best betting offers. 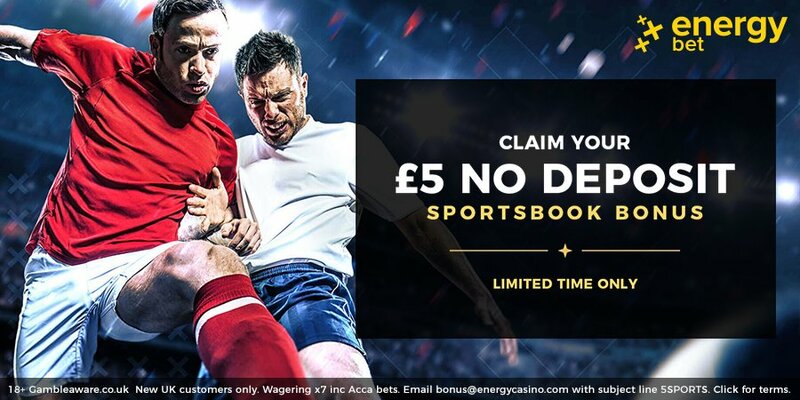 Plus, go straight to our no deposit free bets page, receive dozens of completely free bets and combine them with our predictions on Everton vs Manchester City! Ladbrokes offer 50/1 Real Madrid, Man City and Tottenham to win + £5 free bet! "Man City v Everton Predictions, Betting Tips, Lineups & Odds (Premier League - 15.12.2018)"